What links Winston Churchill, Alan Sugar, Richard Branson, Jamie Oliver, David Bailey, Will Smith and countless other high achievers in a huge range of fields? In this paradigm-shifting book, neuro-learning experts Drs Brock and Fernette Eide describe an exciting new brain science that reveals that people with dyslexia have unique brain structure and organisation. While the differences are responsible for certain challenges with literacy and reading, the dyslexic brain also gives a predisposition to important skills and special talents. While dyslexics typically struggle to decode the written word, they often also excel in such areas of reasoning as mechanical (required for architects and surgeons), interconnected (artists and inventors); narrative (novelists and lawyers), and dynamic (scientists and business pioneers). 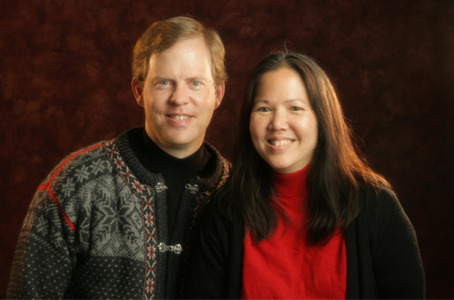 The Dyslexic Advantage provides the first complete portrait of the dyslexic brain. 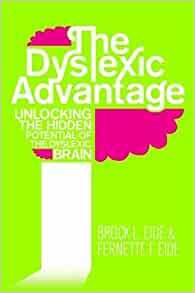 With much-needed prescriptive advice for parents, educators and dyslexics, The Dyslexic Advantage provides the first complete portrait of dyslexia. Supporting their claims with groundbreaking science and interviews with successful dyslexics and innovative teachers, the authors of this essential book show how the unique strengths of dyslexia can be captured for success at home, at school and at work. Start reading The Dyslexic Advantage on your Kindle in under a minute. As I'm dyslexic myself, I bought this book and read it, found out what hidden potentials I have that people without dyslexia don't and uncovered which careers or jobs would suit me or which jobs I could excel at and use my strengths or dyslexic potential. I recommend the book to the people who have dyslexia and to the people who have a family member or to the people who are generally interested in dyslexia. The knowledge provided in the book would be also beneficial in schools. 5.0 out of 5 starsExcellent pro-active Guide to making the most of life as a dyslexic. I've just finished reading this book and it's superb. It gives clear explanations of what dyslexia is and how the dyslexic brain differs from others. It then explains how the structural differences can be an immense advantage and how to recognise and harness those advantages. There is clear guidance I the fact that our brains are plastic and, whilst we can't change the dyslexia, we can make enormous progress by using early intervention. Upbeat, useful and a great read for anyone dyslexic or otherwise. It shows the workings of the mind! This book clearly illustrates the plus points of what is incorrectly assumed to be a disability. You wouldn't expect a weightlifter to be a competent Marathon runner or vice versa. This has further developed understanding of my myself, adding value to how I view the world and my very being. It could do the for same to you! Although I'm not dyslexic, I wanted to find out more about it. The book is detailed and I love the fact that it focusses on the advantages of dyslexia through the MIND acronym providing supporting evidence to their claims. If I was dyslexic and reading this book I may find it heavy going but there are lots of links of support in the appendix. Such a fascinating read - mixing research with case studies. Highly recommend to families and those teaching children with dyslexia. My only negative I did find reading it very heavy going, but worth reading! Great book, compiled with real insight and research. It draws out how dyslexia is about being different not being inferior. Lots of examples of dyslexic traits and strengths that are way better than non-dyslexics can muster. Not saying we dyslexics are the master race, but there are some pretty compelling arguments for that view! !